Dr. Antti Savinainen’s new book on the Finnish Mystic, Pekka Ervast adds to our understanding of the afterlife. Actor, Tim Robbins got a glimpse in this cult classic, Jacob’s Ladder. And I guess that’s how it is with the afterlife. I mean, we know it’s probably going to work out okay, but what if it doesn’t? So, we keep asking the questions, we keep looking for the answers and once in awhile we come across people who seem to know. Dr. Antti Savinainen: There are no devils in hell, there are just human beings who have evil thoughts and habits and then, as Richard mentioned, there are some kind of thought forms, which are formed by people, but using those evil and murderous, those kinds of thoughts, and they have so much power that they exist there for some time. If a person has, kind of an affinity, harboring those negative feelings and thoughts throughout their life, or at least to some extent, then it might be that this is somehow attracting these lower levels in afterlife. I find it interesting that negative near-death experiences, they tend to reveal that these stages are felt by people who go briefly to the other side, so to speak. That’s today’s guest, Dr. Antti Savinainen, who’s written a new book about the Finnish mystic, Pekka Ervast who, back in the 1890s had a series of amazing mystical experiences that revealed to him what really happens after we die. 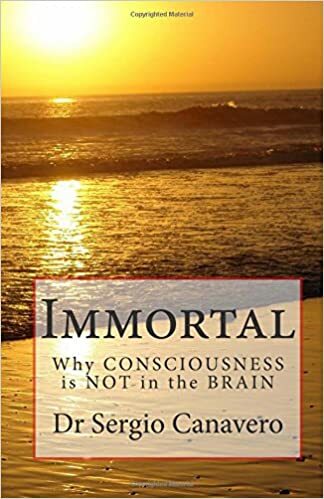 It’s an interesting book because it has so much overlap with the modern-day near-death experience research. And it raises some of the same questions we always come back to, regarding science and materialism and our need to try and know and understand this topic from reason, and at the same time, our appreciation for the fact that we know, deep down, reason can’t really get us there. In this interview we’re also joined by the very excellent biblical scholar and spiritual scholar, Richard Smoley, who wrote the introduction for this book. So it was great having him on as well. Before we get started with the interview, let me just mention that Antti has informed me that the book is available, actually right now, as a free eBook. It’s an excellent book, I’ve read it, it’s nicely formatted, it’s not like a cheap freebie, throwaway kind of thing, well-researched. Again, with an excellent introduction by Richard Smoley, it’s just a great book that’s available for free (From Death to Rebirth). So, that’s kind of a cool thing and I’ll of course have the links to that in the show notes. This was a fun interview for me, we talk about all sorts of topics, all the way from the idiosyncratic nature of these mystical experiences and how much are we to trust, My Big Toe, kind of simulation theory, kind of things, versus a total full-blown spiritual or even Christian mystical experience. We talk about backdoor materialism and medicine in particular and whether a proposed head transplant, that’s supposed to happen in 2018, will reveal anything more about how we might understand consciousness. Then, we even venture off into biblical scholarship and biblical studies, just a little bit, because when you have a chance to talk to Richard Smoley, you can’t miss the opportunity to talk about that stuff as well. So, don’t let this creepy music and creepy introduction freak you out too much. It’s really kind of an upbeat and fun interview. 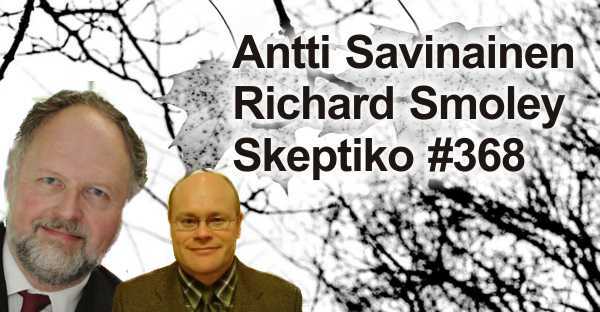 I hope you enjoy it and I hope you stick around for this episode of Skeptiko. Whatever awaits us, I'm pretty sure it doesn't involve Saint Peter at the Pearly Gates checking to make sure we believed in the correct religion. I'm also pretty sure there won't be any Devil dragging us down into some permanent Hell realm either. I don't believe a loving god would have any vindictive nature, that sounds too human or demonic to me. I experienced being with my dad last February when he was in hospice at the age of 94. He displayed incredible courage as I saw it. He seemed to be ready to go and spent some time with a foot in both worlds before finally passing. I really believe that to die at an old age is a gift we should be grateful for. I had a chance to talk to the Hospice Nurse and what they say about the stories they tell is true. They have stories regarding visitors that are seen by the dying that others in the room don't see. Whatever happens, we are not alone. We should all take comfort in that. Indeed. There are a number of good books on deathbed visitations and "terminal lucidity" etc. Steve Jobs final words were famously, "oh wow, oh wow, oh wow." When Alex hammers on materialism and says things like "back door materialism", I've started to have a little bit of a negative reaction... not because I agree with materialism, but because that bully is down on the ground, his face is bloody in the snow, and we don't want to kill him... just teach him a lesson... because he is still valuable... and further abuse just seems cruel and pointless. Materialism is a particular way of looking at reality that is useful in certain contexts. Nobody knows what anything is. We can ask, "but what is it, REALLY?" ad infinitum. So people signing up to be part of the materialist camp or the idealist camp (or the "all is consciousness camp") is like investing in a ponzi scheme you don't understand or like voting Red or Blue in a rigged system. But if you must, then you must do this... it is part of the self-organizing system of greater consciousness in which we find ourselves. What frustrates us about materialism is that it has historically been used by smug pricks to demystify everything, and the curious require mystery to thrive. It has historically been used in support of a narrative about the cosmos which cannot really explain anything (e.g. why did the Big Bang bang? and what is stuff made of... REALLY?) and which leaves out a lot of things (e.g. reincarnation, psi, etc.). Science is a tool that analyzes rules and objects, and so the people that use it often begin to think that everything is rules and objects - and it is... every "thing" is. If someone says that Psi and reincarnation could eventually be understood within a materialist framework, all that means is that these things that currently seem to obey no rules might eventually be found to follow certain rules. And I would agree with that. If it is a "thing" it has followed some kind rules in order to become a "thing"... otherwise it is an experience. A "thing" is a collection of highly similar experiences. Materialism is the belief in rules and the ontological completeness of the solid static object... which is itself a mythical ideal. The "object" is a kind of transcendental platonic ideal. Everything is moving and changing and has nothing at its core. There really isn't any such thing as an "object" except as it exists as an ideal in the mind which can be applied to everything that is observed in consensual reality. Materialism and Idealism are the dualistic pair of opposites which are meaningless without each other. Patternism is the combination of both and is a superior transcendental statement in my view: Everything is evolving patterns. That covers all the bases: "pattern" implies both subject and object (combining materialism and idealism) and it implies regularity, similarity, or sameness and thus sets up the system of rules and metaphors. "Evolving" implies graduated change or a deviation from sameness. Someday "patternism" might become a profane word too, and a future Alex will rail against it... I get the benefit of being an early adopter and therefore have access to the purity of the transcendental metaphor. The soul is the tracing out of a unique shape in the infinite pattern-space. What awaits us after we die will be something similar to what we had here, but it will also be different. The differences will be graduated. Eventually we will be different too and no longer recognizable as ourselves, but there will be part of us that will always be exactly like ourselves. Like the neurons in our own brain, or the AI agents in the upcoming Singularitynet, we are nodes in a self-organizing system that is a larger form of consciousness. We are each a compartmentalized AI working on a particular set of problems and uploading our pattern recognition fine-tuning to the universal hive-mind blockchain which is itself probably part of something "bigger". Medics trying to help people live longer. A scene in a bar. Part of the problem is, there is no map, so you can't say that this goes on over there, and that goes on further north, or whatever. The free book sounds interesting. Essential viewing for all Skeptiko-ites. Alex needs to interview this guy, Dr. Ben Goertzel, although I'm sure he's extremely busy at the moment becoming the most famous name in open-source AI with Sophia and the launch of Singularitynet. He was suggested as a guest here back in March 2016 by Sciborg, but I guess nothing ever came of it. I am no surgeon, but I have taken a human cadaver apart from the skin to the bone. The amount of structures in the neck and head is absolutely beyond mind blowing. Dozens of separate muscles, uncountable numbers of nerves running about, branching into other nerves, some go to muscle, some go to the skin, some go to ganglia, dozens of veins and arteries, a complex lymphatic drainage system. I'm assuming that the entire spinal cord will have to be transplanted as well as the spinal cord is essentially an extension of the brain. That would seem to be even more complicated. The nerves coming out of the spinal cord would need to be routed to connect to the nerves leading to all of the bodies organs so that subconscious neurological control could occur! We observe complications from procedures seemingly hundreds (thousands?) of times more simple than this. I have absolutely zero confidence this will work. MAYBE years and years down the road, but not now. Of course, I could be proven wrong, but I'd put a lot of money on it, if it were ethical to do so, so I wouldn't lol. . I don't find the procedure as interesting from a consciousness standpoint as Alex does. It seems evident to me, that whomsoevers brain is transplanted upon the body, that's who that entire body will become once they are joined. There are interesting potential caveats as certain recipients claim to have received the memories of donors through eye tissue, as an example. But I am uncertain of the validity and veracity of those reports, and they are rare. Of course, this is a much grander "experiment", but is there really any reason to think that this new Frankenstein would be anything more than the person whose brain now occupies the entire body? I don't think there really is, unless I'm missing something. When Alex hammers on materialism and says things like "back door materialism"
I thought the book was great, but also proved to be a product of the times. Kinda like Tom Campbell's My Big Toe... good as a metaphor, but how useful is to say it's all a VR I've calculated to be about 100 frames per second (backdoor materialism at it's finest ). In this case the precise way the afterlife process was described seemed a little too much. I'm not sure why he would respond to a nobody like me! Especially right now with SingularityNET launching, but I went ahead and sent him an email anyway. There are interesting potential caveats as certain recipients claim to have received the memories of donors through eye tissue, as an example. But I am uncertain of the validity and veracity of those reports, and they are rare. Of course, this is a much grander "experiment", but is there really any reason to think that this new Frankenstein would be anything more than the person whose brain now occupies the entire body? I don't think there really is, unless I'm missing something. This must be relevant in the context of whole body transplants (which is how this should be thought of). I dare say that as always, there will be a certain cageyness to discussing evidence that doesn't quite make sense from a conventional standpoint. The interesting thing about memories associated with the heart, is that there seems to be an assumption that memories are stored in neural nets, even though it has not proved possible to locate specific memories in the brain. The thing about neural nets is that they are supposed to obtain their information by a statistical procedure that gradually adjusts the weights of the various synapses to fit the data. That seems to mean that one neural net would be meaningless to another brain - so these phenomena simply should not occur! My favourite type of phenomenon is one that should not happen! It sounds as though you are trained in medicine - you will be very useful in many of the discussions here! lmao he put the head of a corpse onto another corpse. Sounds like something we could all do given the right amount of time and tools. The announcement, which comes via Gizmodo, was made by Canavero and an associate (not Xiaoping Ren) at a press event for Canavero’s book, Medicus magnus. Made on behalf of Ren, the announcement lasted an hour, and provided zero–zero–proof that the procedure between the two human corpses had even been performed, let alone been successful. Start with a gadget from ScrewFix, and then use flesh tinted polyflla to disguise the join! What would "successful" in this case even mean? Both bodies were cadavers. He sounds like somebody just looking for attention.